Much has been written about the failure of Jamaica to establish a self-sufficient and expanding white colony during the eighteenth century by comparison with the success of the rest of the North American colonies. The appalling death rates from yellow fever, malaria, smallpox and other diseases meant that it was difficult for those young men (and it was mainly men) who arrived seeking to make their fortunes to get a permanent toe hold. Even if they survived long enough to marry, and there were too few white women available for them all, their children also died in great numbers. However there is another reason why those colonist families that did begin to become established did not remain on the island, which has perhaps received less attention than it deserves. Jamaica failed to establish a really good education system and did not found a university. This meant that the colonists sent their children back home not just for their health, but to be educated, and once there, experiencing the wider world of eighteenth century Europe, and with the apparently limitless resources provided by the parental plantations at their disposal, they lacked the incentive to return to Jamaica. Many preferred to buy their way into the landed upper middle classes, build grand houses, and participate in Jamaican interests at a distance through the West India lobby or involvement in the building of the West India Docks. Elsewhere in North America Harvard University was begun in 1636, William and Mary College in 1693 and Yale University in 1701, but there was no parallel development in Jamaica. There were some early attempts to establish schooling on the island. In 1695 An Act for erecting and establishing a free-school in the Parish of St Andrew was passed, along with other Acts relating to island defence. Subsequent Acts of the Assembly were more concerned with ensuring the rights of minors, defending the island, building roads and bridges, and trying to encourage further white migration than with educating those who were already there. The incentive to provide schools for their own children was also reduced among families for whom the employment of a private tutor (if you could persuade one to come) was the norm. When William May arrived in Jamaica as a young clergyman, he wrote home to his bishop in far from flattering terms about the early colonists, and in the case of Jonathan Gale and his son Colonel Gale he marked them both as ‘illiterate’, as he said was the father of John and Samuel Moore. There were some Jamaican schoolmasters mentioned by William May – the fathers of both Colonel Peak and Colonel Sadler were said by May to have been teachers, but their sons preferred to make money from their plantations rather than seek an academic career. You can find the full text of May’s letter in Caribbeana – he clearly had a very poor opinion of his parishioners! But many of the very early settlers probably had little use for more than basic literacy, being concerned to carve out their estates from virgin territory. On the other hand the merchants who imported the goods they needed and who traded their produce for them had to be well enough educated to keep good records, as did the attorneys who managed their legal affairs. But like so much of their food, tools and luxury goods these skills were generally imported by the settlers rather than being home grown. On the 3rd of February, 1730, Peter Beckford, another man of whom William May held a low opinion, and who died five years later worth over £300,000, gave £2000 “for a school and poor housekeepers”. 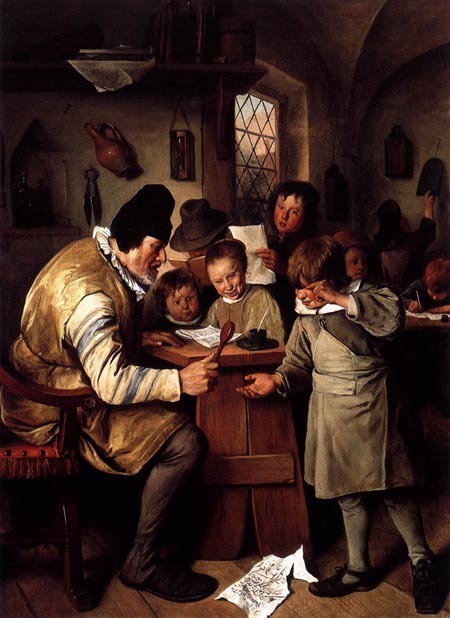 However, there appears to have been no real concerted effort to establish good quality schools during the eighteenth century and it became the norm for children, both boys and girls, to be sent to England for their education. The two Moore brothers mentioned above matriculated at Wadham College Oxford in 1700 and 1702, with Samuel going on to register at the Inner Temple. Both John and Samuel Moore returned to Jamaica after their time at university, but as the century progressed it became more and more common for those who had made their fortunes in Jamaica to relocate to Britain and seek a place in British society. If Jamaica had had good schools and a centre of learning sufficient to attract students from elsewhere in the Caribbean, it is possible more young men would have remained on the island. The colonists who went to Jamaica in the 17th and 18th centuries were aware of many of the risks to their health but not of the causes. Much has been written about the reasons why white society in Jamaica never became established to the same extent as it did in North America in spite of the fact that the Caribbean islands were regarded as part of the same territory. It is notable that of the early colonists who arrived with Penn and Venables from 1655 onwards few had descendants still on the island a century later. Very many marriages were terminated within a short time by the death of one partner. Infant and maternal mortality even by the standards of the time was shockingly high, and more than one colonist died at sea fleeing the island for the sake of their health. Of the eight children of the Rev William May featured in an earlier article only one survived to full adulthood, with two sons aged fifteen and twenty dying at sea on their way to Boston “for the recovery of their health”. Young girls seem to have married earlier on average than their equivalents back home in England, and it is likely, quite apart from the shortage of young white women in Jamaica, that this was at least in part an attempt to ensure the production of children before their parents’ anticipated early death. Visitors to the island noted with shock that few of the tombstones recorded Islanders who had made it past their early thirties. The reasons for the very high infant mortality included waterborne infections such as diarrhoea and dysentery, measles, smallpox, whooping cough, and especially in the case of infants born on the plantations to enslaved mothers infantile tetanus (known as lockjaw). This disease whose spores are transmitted through animal faeces nearly wiped out the population of the Scottish island of St Kilda in the 19th century, until the local minister studying a course on midwifery prevented the anointing of the baby’s cord with sheep dung. On the Jamaican plantations where women carried baskets of dung on their heads to manure the sugar cane, such knowledge and choice was unavailable. There is no record of the number of babies who died in this way but it must have been high. Infections such as measles, smallpox and whooping cough were no respecters of colour or class but there is evidence of appallingly high mortality among slaves newly arrived in Jamaica. Their health already compromised by dehydration, poor food, lack of fresh air or exercise and suffering from grief and depression, those on the lower tiers of a slave ship spent the voyage unable to avoid the urine and faeces of those above them. If they survived the voyage they too easily succumbed to epidemic diseases on arrival. It was generally the practice to “season” new arrivals allowing a period of acclimatisation often by working on the pens tending livestock or producing provisions before they were put to work in the cane fields or at the more skilled and exhausting tasks in the boiling houses. Major epidemics killed white settlers and slaves alike, with regular outbreaks of yellow fever, measles, smallpox and yaws all of which were highly infectious. There is evidence that on some plantations it was realised that the slaves themselves were better at treating yaws, with which they were familiar from their home countries, than the European doctors who prescribed mercury itself a poison and used by them to treat the related condition of syphilis. 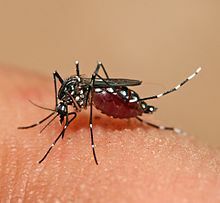 Yellow fever had probably arrived in the West Indies from Africa by the mid seventeenth century. Like malaria it is dependent for its transmission on mosquitoes breeding in stagnant water, both then present in abundance in Jamaica. The clay pots used in sugar production when broken were cast down and provided small pools of water; hurricanes and earthquake tsunami created larger bodies of water ideal for breeding. In addition to infectious illness with high mortality Jamaica’s inhabitants had to contend with problems caused by ticks and jiggers. Blood sucking ticks particularly attack bare flesh around the legs and infected bites could lead to more serious problems. Jiggers, or chigoe fleas, bore into the feet to lay their eggs and were particularly problematic for anyone without shoes, which of course was most of the enslaved population as well as some poor whites. It was important to remove the jiggers early in their life cycle using a specially designed knife, and many cases of lameness among slaves were attributed to the lesions from untreated jiggers. They could also attack the hands, and any part of the person exposed to the ground, such as legs or buttocks. Many plantations carried out weekly hand and foot inspections. Europeans arriving in Jamaica recognized smallpox and dysentery, measles and whooping cough but yaws, tropical ulcers, the dry bellyache and miscellaneous fevers were new to them. Most were infections against which there was little remedy but the dry bellyache should have been avoidable by the mid-eighteenth century when its cause was understood to be lead poisoning resulting from the stills used for making rum. In 1745 Thomas Cadwalder had drawn attention to the extreme cases of colic ‘West India dry gripe’ that were caused by the use of lead piping in rum distillation, but it seems nothing was done and it is not clear when the use of lead was reduced in Jamaica, with large scale illness and death among the garrisons and in the navy still occurring at the end of the eighteenth century. The better off colonists avoided the worst of this by drinking imported claret, brandy or Madeira as well as rum, but excessive use of alcohol leading to liver damage further weakened their ability to withstand illness and live to see old age. One notable exception was Jane Gallimore born about 1664, who outlived her husband Matthew Gregory by nearly forty years and whose burial record in St Catherine in 1754 gave her age as ninety. Mary Bailie was buried on 22nd July 1756 when her age was recorded as ‘about 95’. Many colonists chose not to risk the hazards of Jamaica once they had established their plantation, or made their fortune as merchants and left the island for ever hoping thereby to live a long and healthy life ‘back home’.